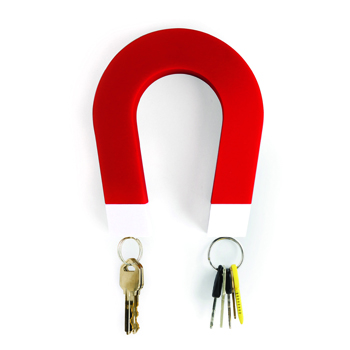 Hang your keys on the tips of this magnetic horseshoe shaped key holder. Easily mounts on your wall. Made of durable plastic.